Andrerose is a 36 year old woman, who, with the help of her extended family, started selling goods in front of her house some months ago. The little market is going well but she needed more money to buy start up materials. She came to us at Invest Hope and asked to borrow money to buy a sack of sugar. This is coffee season in Haiti and Haitians drink their coffee SWEEEEEET! With her neighbors selling coffee beans, Andrerose sees the business opportunity in selling sugar to the people who pass buy with their newly bought coffee beans. We at Invest Hope get soooo excited when we see this type of business thinking. Anderose did not finish school and the little education she did have did not teach her business principles such as this. We tried to get her to borrow more money for other start up at her mini-market. She refused-saying she did not want to be embarrassed if she couldn't repay. We encouraged her to take this small loan and when she paid it back we would loan to her again. She liked this plan and promised not to let us down! That was in October. Anderose successfully paid back her loan in full with no late payments! She is currently on her 2nd loan cycle. I have tried and tried to upload her picture but it is not working today...will try again later. 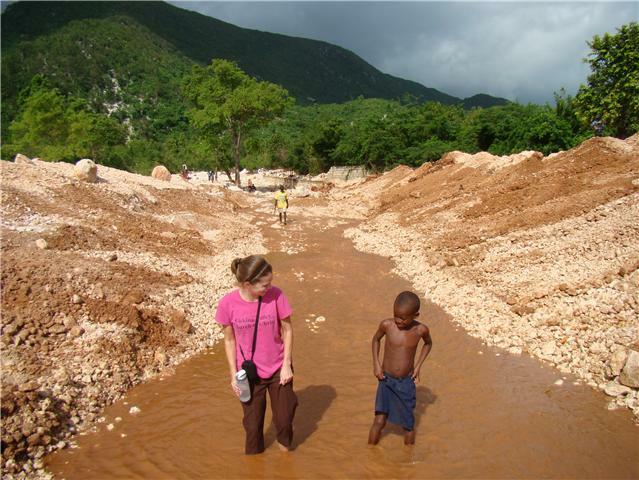 Please continue to pray for Invest Hope and the Haitians were are trying to help. I am finding out that "investing" in someone is a lot more involved than giving handouts. Hopefully this will be more effective in giving people the tools they need to take care of their own families.